Over the weekend, normally straight-laced, buttoned-up Secretary of State John Kerry was briefly transformed into a person more closely resembling a giddy tween-ager who snuck backstage at boy-band concert - and it's hard to blame him. 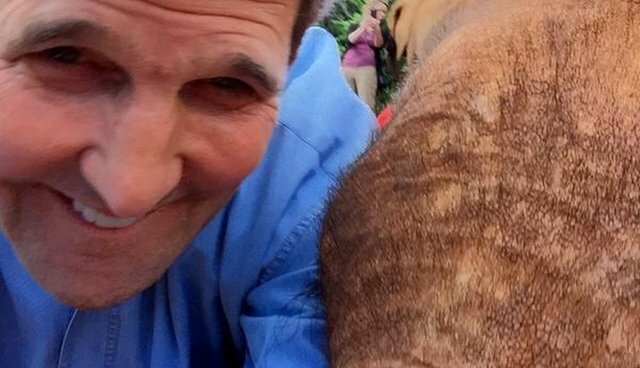 He was lucky enough to hang out with a group of baby elephants, undisputed celebrities of the Cute Animal Kingdom. 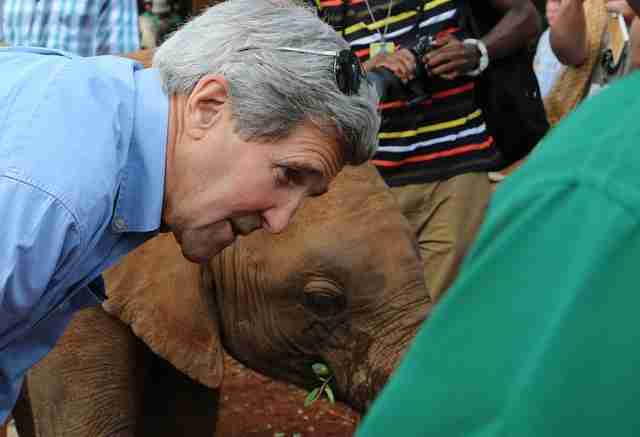 On a diplomatic trip to Africa, Secretary Kerry stopped by the David Sheldrick Center Elephant Orphanage in Nairobi National Park. There, he met with the center's 28 adorable elephant residents and the staff who've dedicated their lives to caring for them. The elder statesman clearly wasn't shy about expressing his excitement to be in the company of the big baby animals. At one point, he even squatted down and snapped a selfie with one - strictly for government record-keeping, no doubt. 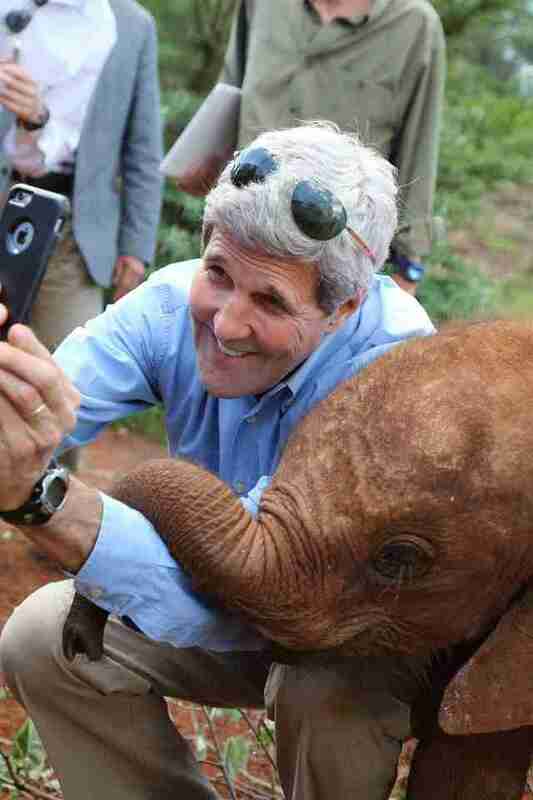 "Slaughters of wildlife have grown exponentially," Kerry wrote on the Huffington Post. "The scale, pace, and sophistication of elephant and rhino poaching are accelerating at a devastating pace. Not only are these majestic animals disappearing before us, as poachers grow in sophistication and firepower, this explosion in trafficking undermines the stability and security of range states, and imperils those whose livelihoods depend on these great creatures and ecosystems. "We do not have the luxury of time. We must act urgently and raise public awareness."